Lady Bird Johnson Wildflower Center was our first stop on Friday. As we gathered for the group picture, they mentioned that rain was headed our way. Being a native Texan, I should have heeded the warning when I heard “squall line”, but I was intent on seeing the treasures that awaited us. Even in the rain, the cholla in the demonstration garden beckoned. It’s magenta blooms caught my eye through the stone window. It began to sprinkle -colorful ponchos dotted the gardens and then it started to rain, then it began to go sideways, so we scurried to find shelter. It didn’t take long to realize that the elements were winning, but so was the garden – the much needed rain was a welcome sight, even though it came torrentially. We retreated to the main entrance where we sought refuge under the eaves and ultimately in the gift shop. A beautiful bouquet of wildflowers brightened our dampened spirits (pun intended) in the restroom. As we left, the sound of the stone cistern filling up was music to the ears. Even though it was a wash in some ways, it wasn’t all for naught. It’s not often you get to see Lady Bird Wildflower Center through the rain. Posted in Garden Design and tagged cholla cactus, GB Fling 2018, Native Plants, outdoor learning, Texas native plant, Texas wildflowers. Bookmark the permalink. 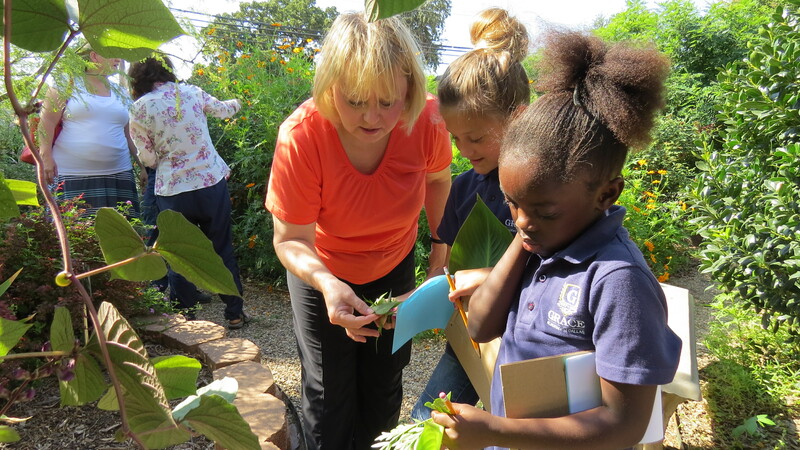 The Raincatcher’s Garden hosted 156 children and 10 teachers and aides from Lakewood Elementary School this week as they learned about vegetables you can grow in your own garden, vermicomposting and the life cycle of worms, pumpkin math, city chickens, compost and gardening to attract butterflies. Students were led to each garden station by happy Master Gardener volunteers like this one! Exploring the garden with all senses is encouraged. And just think if you can hold a red wriggler worm in your hand, the science of vermicomposting may become more interesting. This is only a fraction of the army of Master Gardeners who helped with the field trip. Great Job by our Master Gardener Education committee! Posted in Field Trips and tagged outdoor learning, school field trips, School Gardens in Dallas, The Raincatcher's Garden, vegetable gardening. Bookmark the permalink. Visit with Dallas County Master Gardeners at Whole Foods Market Preston-Forest on September 14 and fill your grocery cart. The store will give 5% of the day’s net sales to The Raincatcher’s Garden of Midway Hills, 11001 Midway. This helps us maintain our beautiful gardens and provide garden education for all ages. 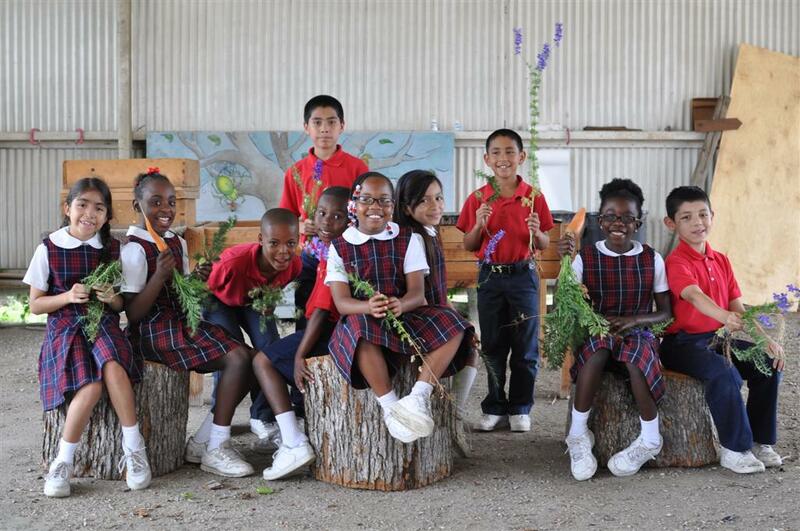 This fall we have many school children visiting our garden for educational school field trips. 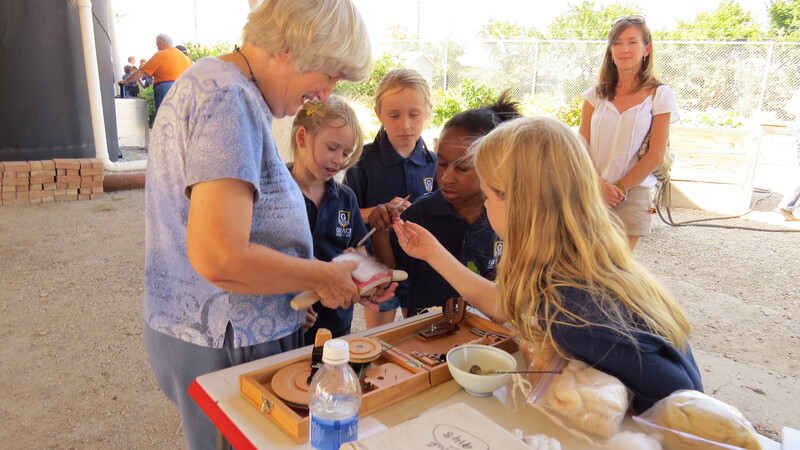 Hands-on-learning to expand math, science and social studies learning opportunities will be offered. Above: Fall 2015 Field Trip, More to Come in 2016! Posted in Fall and tagged Dallas County Master Gardeners, outdoor learning, School Gardens in Dallas. Bookmark the permalink. Taught by Stephen Hudkins, Texas A&M AgriLife Extension, Dallas County Master Gardener Coordinator. We will meet in the Vegetable Patch. If raining, go to Fellowship Hall. Public Welcome, Master Gardeners can receive education credit. First graders from Lakewood Elementary had a five exclamation point (!!!!!) assessment of their field trip to the Raincatcher’s Garden of Midway Hills. One hundred and fifty pairs of sneakers never stopped from the moment they hopped out of four school buses on November 3rd . Every 15 minutes, timers took the students to another station: seed balls, real live clucking chickens, wiggly red wigglers, “name that vegetable,” herbs and compost. Elizabeth Wilkinson, Cynthia Jones, and Annette Beadles organized the field trip. Annette compared the circumference of pumpkins—and first grade volunteers. 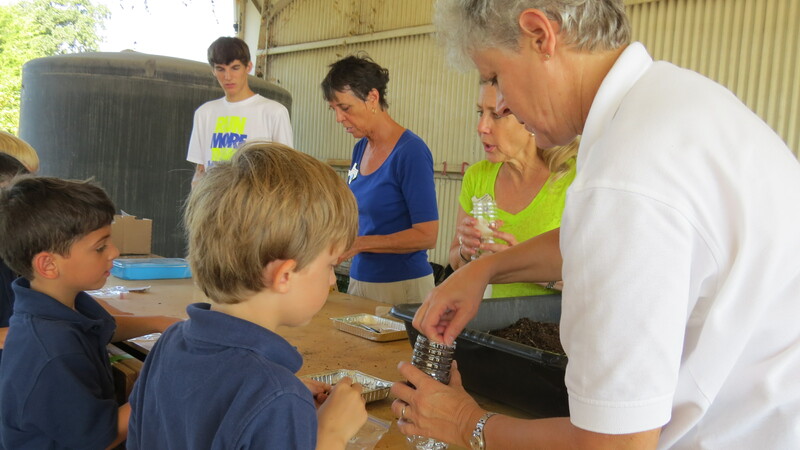 Cynthia showed students how to roll, mash, divot, and taco-fold clay, soil and wildflowers to make seed balls for their school. Dear Garden Friends, Thank you for a great time! I love my journal! Jan Larson assembled 150 journals and sharpened pencils, one for each child. They carried their journals all day, making notes at each station. Sign up for a field trip! Posted in Garden Field Trips and tagged Dallas County Master Gardeners, free school field trips for Dallas children, outdoor learning, school field trips, School Gardens in Dallas, The Raincatcher's Garden, The Raincatcher's Garden of Midway Hills. Bookmark the permalink. For five years we have enjoyed our relationship with Grace Academy kids. We see them as first graders in May, they return as second graders in the fall with remarkable growth! As Dallas County Master Gardeners, we spend vast amounts of time preparing for these visits and a lot of heart goes into our preparation. We introduced them to photosynthesis, seed formation, and plant identification. Their faces lit up with the wonder of it all. Cotton is a favorite topic: how to grow it, how it’s used, and how to spin it. It’s an enthralling topic for all of us. Brush up on your knowledge of cotton here. 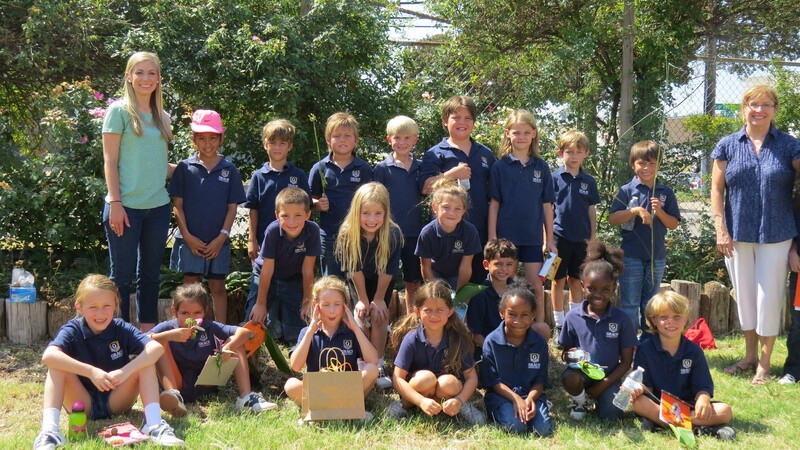 The children made self watering containers using recycled water bottles. A Hyacinth Bean seed is planted in each container. It’s important to talk about seeds and the energy they have to create a new plant. After all, every beginning starts with a seed. 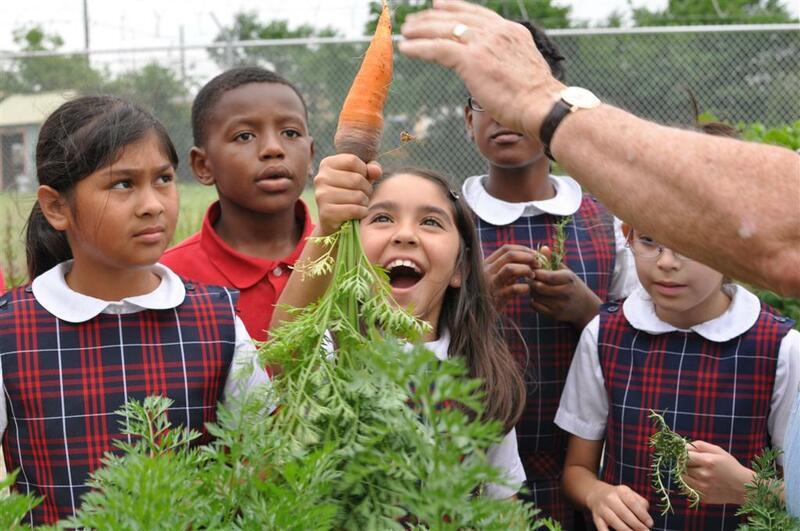 Posted in School Garden Ideas and tagged Dallas County Master Gardeners, free school field trips for Dallas children, Grace Academy, outdoor learning. Bookmark the permalink. The 28 third graders who came to our garden Tuesday did not need much coaching in appreciating nature. The loved the carrots and took them back to school for afternoon snacks.. Rosemary was another hit. Last week one of the kids said he would sleep with Rosemary under his pillow. Maybe there will be alot of Rosemary under pillows this week! It was a day of garden based education: learning the science of compost, how to attract wildlife to the garden, growing vegetables like beans, carrots, lettuce, and swiss chard; and how flowers regenerate by seed. 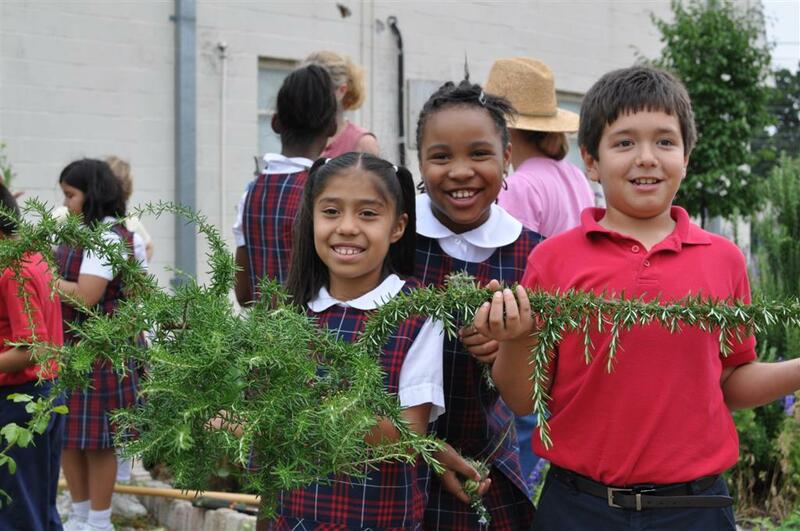 Posted in School Garden Ideas, Trees at The Raincatcher's Garden and tagged outdoor learning, rosemary, school field trips, School Gardens in Dallas, West Dallas Community School. Bookmark the permalink.